The second annual Halloween ComicFest is almost here! This Saturday marks the return of one of my favorite events at my LCS last year. What is not to like about free mini-comics, candy, costumes, and fun. To find a participating store in your area click here. You can also enter the costume contest here (you will need to pick up an Itty Bitty Hellboy button from a participating store) and be entered to win some really great prizes. For the first time I ordered bundles of the mini-comics to hand out at my house on Halloween and couldn't be more excited. 1. 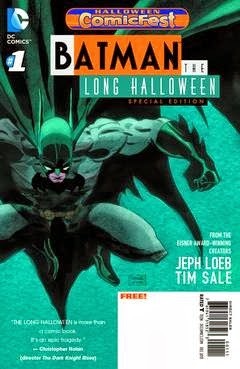 Batman: The Long Halloween Special Edition - A classic Batman tale from Jeph Loeb, this comic collects the first chapter of a great holiday themed mystery. Can't wait to start reading this again! 2. Pantalones, TX: Zombinata - From Archaia, this all ages comic takes place in the town of Pantalones, TX. 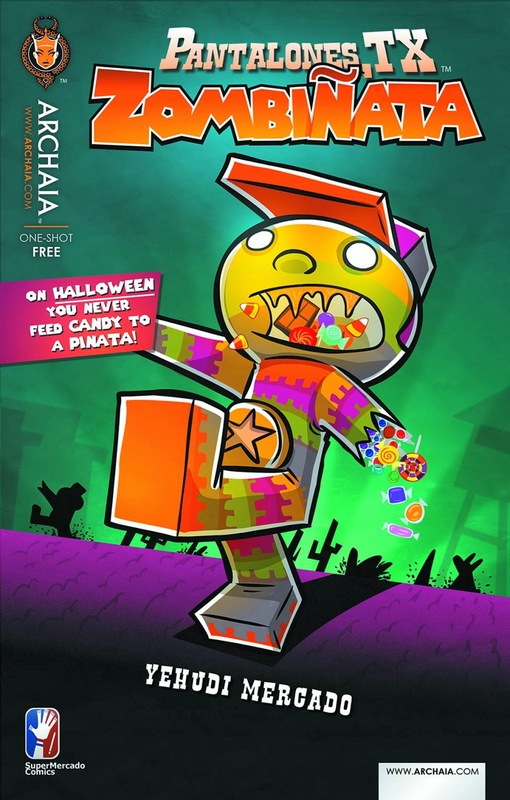 It is Halloween and pinatas that are fed candy are coming back to life. Sounds like a fun enemy to battle and I can't wait to read this with my kids. 3. 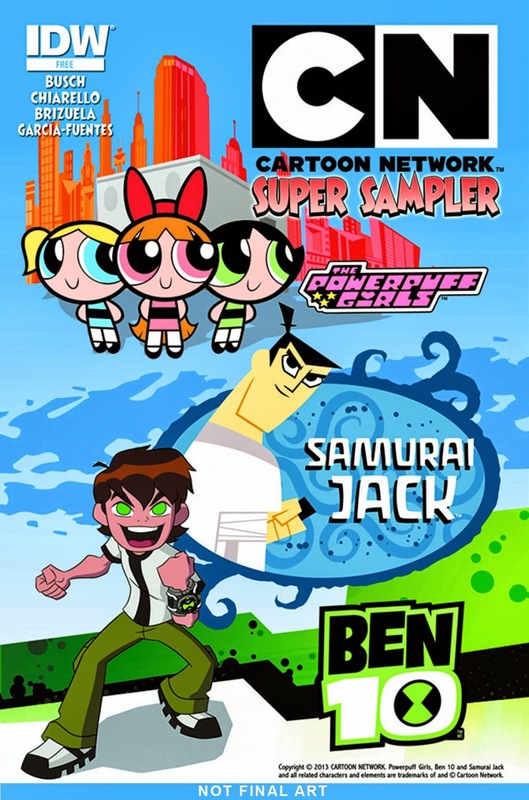 Cartoon Network Super Sampler - What is not to like when you have a comic that features the Power Puff Girls, Samurai Jack, and Ben 10? Sounds like a comic that, not only with both of my kids enjoy, but I will as well. 4. 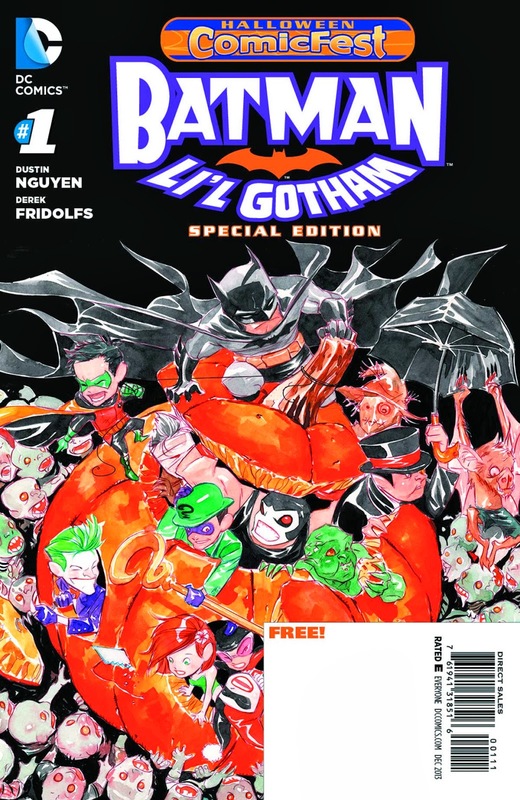 Batman Li'l Gotham: Special Edition - When you read a preview of a title and it includes a story in which Robin learns the true meaning of Halloween then you know it is a must have. Add in a Thanksgiving story and I don't know if it gets any better. 5. 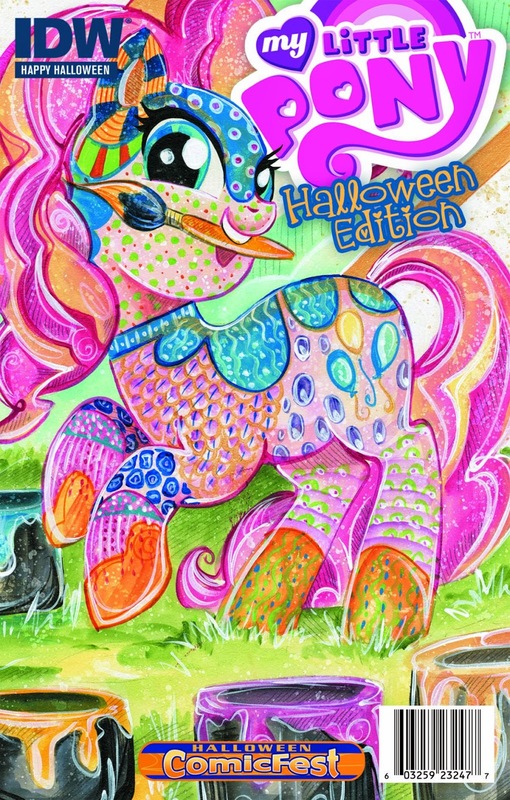 My Little Pony: Halloween Edition - While I would have preferred a Halloween story, this collection is sure to impress casual fans and bronies alike. This mini-comic collects highlights from the previous year, pony art, and some surprises.